Krysten Lindsay Hager is the author of the Landry’s True Colors Series, a clean reads young adult series and the new ​Star Series. Krysten writes about friendship, self-esteem, fitting in, middle school and high school, frenemies, modeling, crushes, values, and self-image in True Colors and Best Friends…Forever? as well as in, Next Door to a Star. Krysten is a book addict who has never met a bookstore she didn’t like. 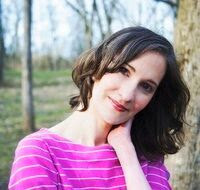 She’s worked as a journalist and writes YA, MG, humor essays, new adult, and adult fiction. She is originally from Michigan and has lived in Portugal, South Dakota, and currently resides in southwestern Ohio where you can find her reading and writing when she’s not catching up on her favorite shows (she's addicted to American Dad and Girl Meets World) or watching the Detroit Lions. She received her master’s degree from the University of Michigan-Flint. I’m an author and reader who loves to browse in bookstores. I’m also a big daydreamer who never thought that spacing out in a fantasy world during math class would end up paying off down the road. 2. You have lived in several cities / countries. How did you end up there? I have moved a lot due to my husband’s job, which has taken him all over. It was hard for me to work as a journalist moving so much, so writing fiction was a bit easier. However, when I was overseas it was nearly impossible to submit work because at that time publishers wouldn’t take a whole novel via email like they will now. 3. You have won several awards for True Colors which is awesome! What does it feel like that people love Landry and her stories so much? I never imagined so many people would tell me how much they have connected to Landry! I opened up so many vulnerable parts of my teen and tween years writing these books and it’s amazing to find out how people from all over the world have felt the same awkward, cringey, anxious feelings and it makes you realize that people are much more connected by the same experiences than we realize. 4. You are a book addict yourself. Which 2016 reads can you definitely recommend? One book that I just discovered this year was Still Writing By Dani Shapiro. It’s the type of book that I love to read about another writer’s process and experience. For fiction, I enjoyed What Ever Happened to Anna K by Irina Reyn. 5. Where do you get your ideas for you stories? I take a lot of inspiration from my own teen and preteen years, but honestly there are times I’m at events with friends and I overhear conversations and think, “That’s something Morgan would say,” and I jot it down for later. There’s a scene in Best Friends…Forever? that has dialogue from a mean girl and it was inspired by an email a 70-something year-old author wrote to someone I know. She sent me the email and I thought, “This is Yasmin McCarty’s voice.” Yasmin is fourteen, the person is in his mid-seventies and male and yet it worked. So you can find inspiration everywhere. 6. What advice can you give to aspiring writers? Take as many classes, workshops, conferences, and events as you can. Go to book signings and buy the books and chat with authors. Like any other career field you need to learn the ropes. 7. You write realistically about teenagers. Do you have any good advice for girls that age who, just like Landry, aren't often feeling confident? The main thing to realize is that even if it seems like everyone else feels confident, that we all have our insecurities. We all have our weakness, but we also have our individual strengths and that’s the main thing to focus on. It’s easy to think we need to work on our problem skin, our shyness, the fact we can’t hit a softball to save our life, but instead of beating yourself up for what you can’t do, make a list of what you can do well. It might be that you’re good at art, cheering people up, creating great desserts, writing poems—anything you are good at is something you should focus on and share with others. 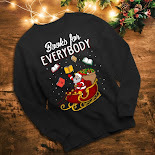 Everyone has their something! 8. 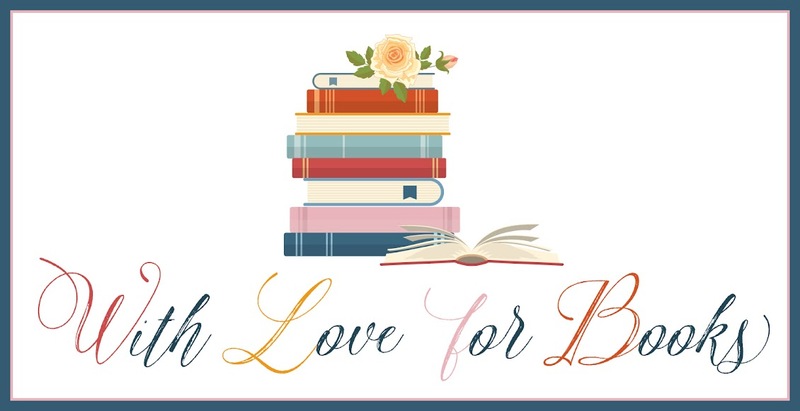 On your blog you support other authors by participating in their blog tours. Is there an author we should definitely read? For great memoirs, Susan Shapiro is great. They are funny, real, and gritty. I run out and buy whatever she writes. 9. 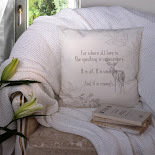 Do you have a favorite quote or mantra and if so what is it? As for mantras, I like, “Expect Miracles.” Like the girls in my book, Competing with the Star, I have MantraBand bracelets, too, and that’s one I own. 10. You write a lot about friendships, where do you find the inspiration for it? And what does a good friendship look like for you? In the Landry’s True Colors Series, she gets ditched by her friends and has to step out and make new ones. That is something that happened to me, so it was difficult to write about, but made me a stronger person. In the Star Series, Hadley has a best friend move away and then moves herself and sort of reinvents herself at her new school. I had something similar happen when I moved to high school and I made all new friends. I never felt like I could be myself in grade school and when I got to high school I felt like I was free to be who I was and I made friends who got to know the real me and most of those people I am still in touch with. 11. Landry likes shopping for books, clothes and jewelry. How do you find the things you describe in your books, are they real or do you write about things you'd love to have yourself? Some of the things Landry and Hadley own are from my own wardrobe either now or from when I was a teen. I had Landry buy sweaters I had just bought and Hadley’s clothes are pretty much what I wear now! Whenever I finish a book, I get an accessory to celebrate it and another when it’s gets published. The butterfly necklace in Best friends…Forever? is based on one I bought in Mackinac Island, the rose gold heart bracelet Ashanti lends Landry for her kinda/sorta library date is one I bought for finishing True Colors. In the Star Series the girls get the MantraBands and that’s because I wear those. In the beginning of Competing with the Star, Simone gives Hadley her bracelet back and that’s one I got when I was in Grand Haven (the town where the book is set) at a store called Peace Frogs. I’m working on the third book in the Star Series and in this book Hadley’s pop singer crush, Jack Brogger, comes to town to shoot his new music video and he’s looking for extras….guess who gets to be in it? Haha! 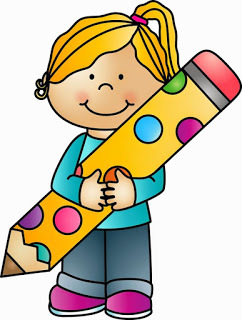 I’m also working on the fourth Landry’s True Colors book, another YA book, and a new adult novel as well. Landry is a young girl who is best friends with Tori and Ericka. When her friends want to try out at a modeling competition Landry goes along. They didn't expect Landry to be chosen to go to the next round. Tori and Ericka break off their friendship with Landry and are very mean to her. Landry is just a normal teenager with the same insecurities that every teenager goes through. She wants to belong with a group and is very hurt about the behavior of Tori and Ericka. Soon she finds new friends to hang out with while she tries to fit in and she proceeds with the modeling competition. True Colors is about all the struggles that teenagers go through and all the drama that comes with it. Krysten Lindsay Hager captures the essence of being a teenager very well. We all remember what is was like to want to fit in and to not stand out in the crowd. Teenagers can be so cruel and mean and are also able to forget so fast. I was hoping for Landry to find her voice. She seems a bit of a pushover at first, but she's actually just a very sweet young girl. She is kind to everybody even if they don't deserve her kindness. This story made me think back about my younger years and I found myself reminiscing about all the silly things that tend to keep the teenage mind working. I'm hoping Landry will toughen up a bit because she really needs to stand up more for herself. 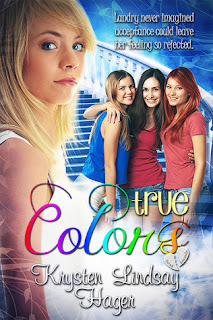 Luckily Landry's story doesn't stop at the end of True Colors and I can't wait to read more about her and her upcoming adventures. Thank you for reading and reviewing True Colors! Such tough years that can be memorable either way - and so much to learn ! Those years really form you, don't they? Thank you! I may be an adult but I like reading any good books. I have read many YA and younger books that I have really liked and saved to read again. I love reading young adult and middle grade books, too. I tend to head to the YA section first when I go to the bookstore. Loved the review. Look forward to reading the series. Thank you for the giveaway. Thank you so much, Maro! It is a tough time! Thanks for stopping by! I think these books are really important for teenagers, so they know they are not alone. Thank you for your great giveaway. I've been aware of this series for a little while now but haven't yet gotten the chance to read them yet although I wouldn't mind doing so :) Thanks for the chance to win!